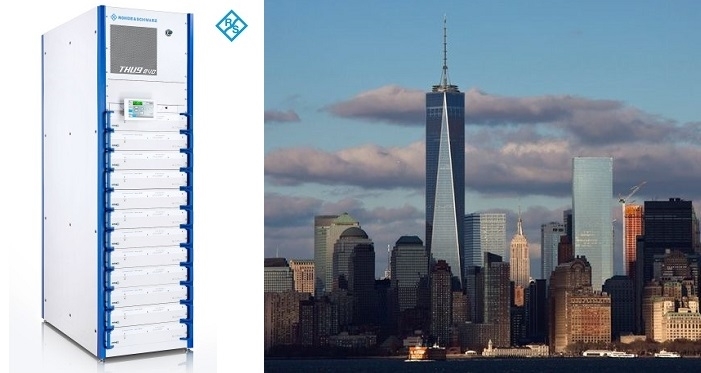 Six out of seven national broadcasters in the US have reportedly chosen to deploy Rohde & Schwarz's R&S THU9evo digital transmitter for their primary broadcasts from One World Trade Center (1WTC) in New York City. The R&S®THU9evo are high-power liquid-Cooled UHF Transmitters for terrestrial broadcasting. 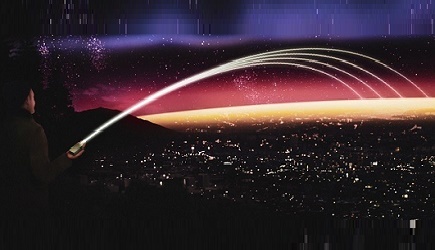 Two of the stations will soon share the largest solid-state digital transmitter in the world, an R&S THU9evo that began broadcasting in June 2017. Five additional stations will be relocating to 1WTC in the coming weeks and will rely on their own Rohde & Schwarz transmitters to serve the New York market. Housed in the Broadcast Center on the 90th floor, the already deployed R&S THU9evo will multicast two HD channels. While the transmitter has its own liquid cooling system, Rohde & Schwarz has helped design a custom standalone liquid cooling solution for the Broadcast Center to control the temperature of all the additional equipment in the room. The superior design of the THU9evo’s liquid cooling system eliminates noisy fans, making it one of the quietest in business. According to Glen Hurst, Transmission Systems Engineer/AE, Rohde & Schwarz USA, the R&S THU9evo includes 72 PHU903 amplifiers, each with three redundant power supplies, and dual TCE901 exciters. The transmitter can produce 50kW output for vertical and 50kW output for horizontal polarization. Not only does it produce a signal strong enough to navigate through the concrete jungle of the largest U.S. local television market, but the vertical component positions the sister stations to deliver innovative services to handheld devices when ATSC 3.0 is adopted. The R&S THU9evo delivers an efficiency of more than 41 AC to RF, including all components, and with MER (modulation error ratio) greater than 44dB and shoulder attenuation over 50dB. The total output power of the transmitter is 106kW, and beyond the energy efficiency, the transmitter dissipates minimal heat load into the Broadcast Center because of its 100 percent liquid cooled design. Plus, it accommodates up to six different inputs from different locations via fiber, wireless, and IP. Embodying such an outstanding feature set and capabilities, this solid-state transmitter delivers a performance and achieves power levels that would historically require IOT technology.